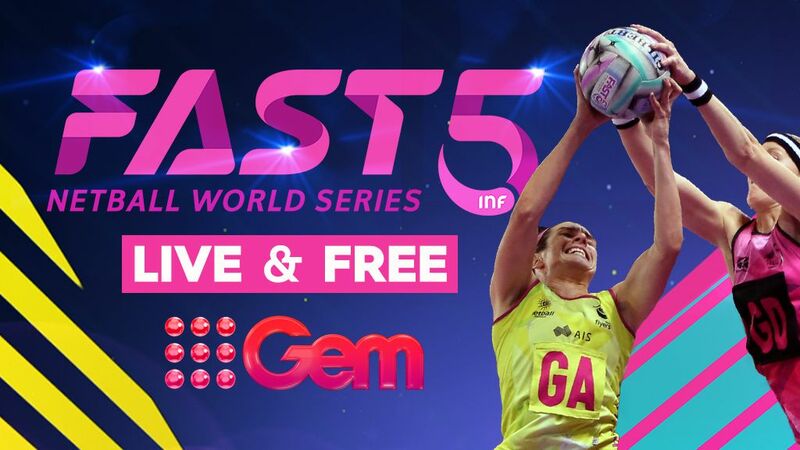 Nine’s Wide World of Sports is ready for the best netballers in the world to square off in the short, sharp and action-packed FAST5 Netball World Series live from 1.30pm AEDT this Saturday and Sunday on 9GEM. The exciting five-a-side series at Melbourne’s Hisense Arena will pit the top six international netball teams (Australia, Jamaica, England, New Zealand, South Africa, Malawi) against each other in a ferociously fast-paced, two-day tournament. Starring in the 24-minute games will be world-class netballers such as Australian Diamonds Gretel Tippett, Kate Moloney and Paige Hadley, New Zealand captain Storm Purvis, England’s Super Netball star trio Geva Mentor, Jo Harten and Serena Guthrie, and Jamaican shooter Jhaniele Fowler-Reid. Hosted by Nine News presenter and The NRL Footy Show’s Erin Molan, the FAST5 Wide World of Sports commentary team will be led by Australian netball legends Liz Ellis, Sharelle McMahon, Cath Cox and Anne Sargeant, along with expert commentators Jenny Woods and Sue Gaudion. The Celebrity FAST5 Match will also return – featuring some of TV’s biggest stars, including The Block’s Dan Reilly, Getaway’s Catriona Rowntree, athletics star John Steffensen, Family Food Fight judge Hayden Quinn, Nine News weather presenter Livinia Nixon, as well as Australian Ninja Warrior’s Ashlin Herbert and Georgia Bonora, along with other special guests. They will be joined by netball stars Kim Green, Caitlin Bassett and Laura Langman in what will undeniably be a highly competitive yet very amusing version of the FAST5 game. 9Now will exclusively live stream all the FAST5 games at 9Now.com.au. Nine’s wwos.com.au will provide up-to-the-minute scores, latest netball news and commentary. *Broadcast times are subject to change and check local guides for details.